It happens all the time. You’re not sure what you want to do with something, but you know you don’t want to throw it away. So instead you put it in a box and hide it somewhere out of the way thinking that eventually you will come back to it. But deep in your heart, you probably know you’re never going to see that something again until you have to pack up and move. This sort of occurrence isn’t reserved for homes. It happens in offices all the time. And when your office doesn’t move for nearly 100 years, seemingly trivial items that have been hidden away can soon become treasured pieces of history. Will Evans and Will Humphrey stand with their discoveries. Such was the scene at our Woodland office last week as volunteers made their way through the building for some upkeep and rearranging. 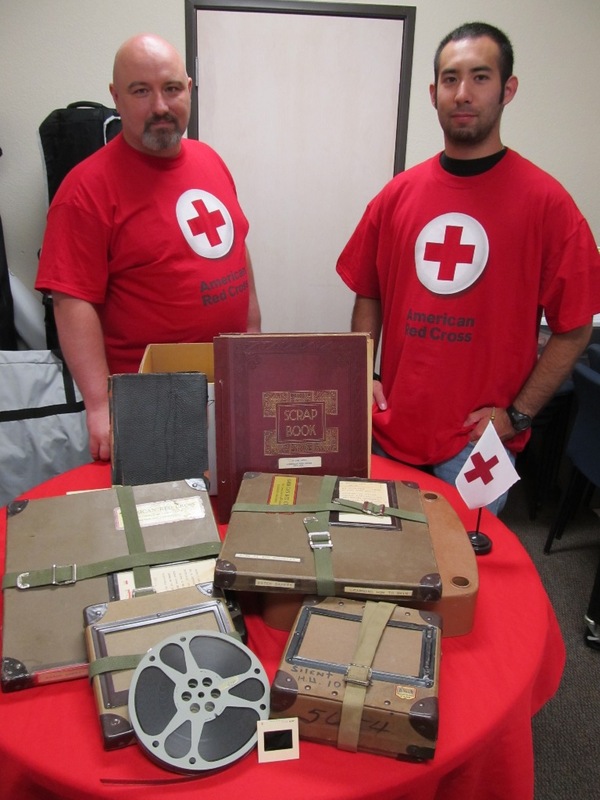 While sorting through tattered boxes, piles of old paperwork, and layers of dust in the deepest corners of the building, volunteers Will Evans and Will Humphrey happened across a treasure trove of historical items – pieces which offer a look back at the early days of the Red Cross in Yolo County. 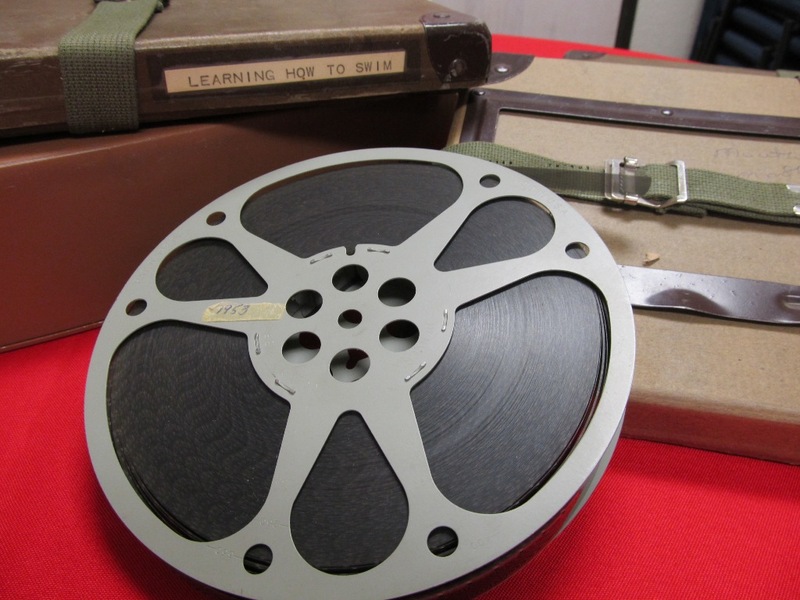 Reel-to-reel films used for Red Cross water safety training. Uniform buttons. A Junior Red Cross certification from 1943. A film of President Dwight Eisenhower speaking at the 1953 National Convention. Letters from soldiers in Vietnam saying thank you for care package items sent to them from the chapter office in 1966 and ’67. The most amazing discovery? 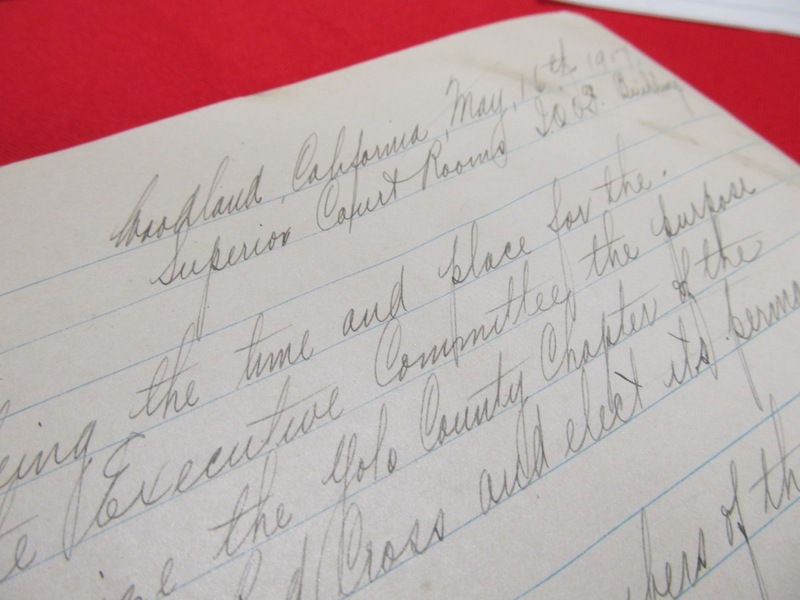 A handwritten journal from 1917-1918 documenting the creation of the American Red Cross Yolo County Chapter! In the journal, meeting notes and highlights as written by the founding members of the Board of Directors. All of the items providing their own fascinating glimpse into our history as a region, and all the while they were right there in the corner just waiting to be discovered. We are now working with the local library as well as Red Cross National Headquarters in Washington DC to ensure these pieces of history are well preserved and looked after now that they’ve been brought back out into the light. It kind of makes you wonder what you’ve got sitting in those boxes you’ve had piled in the garage for so long. It might be worth looking into them again. Happy treasure hunting! Previous Previous post: Hot Enough for Ya?